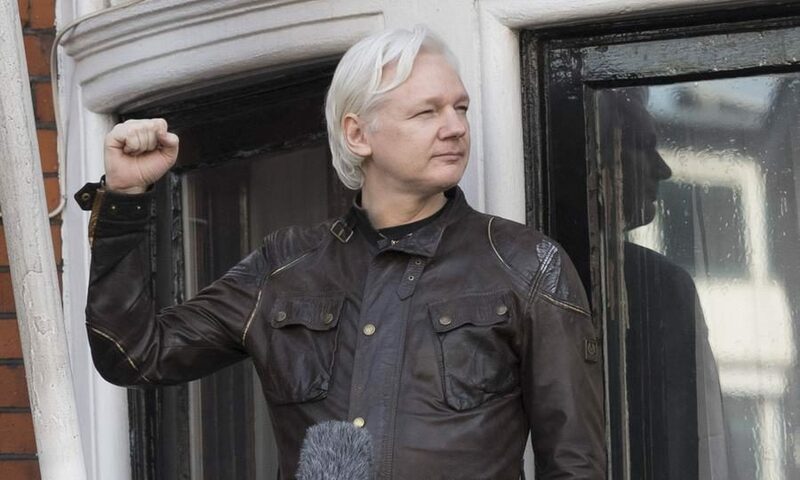 A file photo of WikiLeaks co-founder Julian Assange on the balcony of the Ecuador Embassy in London. By The date – April 11, 2019 – will live in infamy in the annals of Western “values” and “freedom of expression.” The image is stark. A handcuffed journalist and publisher dragged out by force from the inside of an embassy, clutching a Gore Vidal book on the History of the US National Security State. WikiLeaks editor Kristinn Hrafnsson, right, and Assange’s UK lawyer Jennifer Robinson, left, outside Westminster Magistrate’s Court.